Army continued its search, relief, rescue and evacuation operations throughout affected areas of Uttarakhand today. The focus continued to be Badrinath and Harsil. 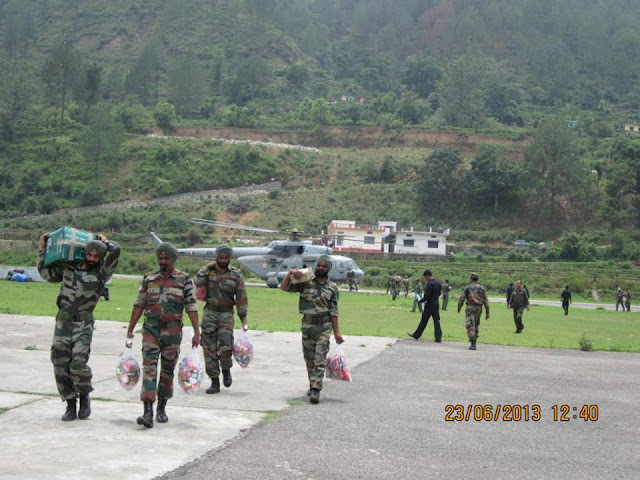 Army aviation helicopters carried out sorties both in Badrinath and Kedarnath Valleys. 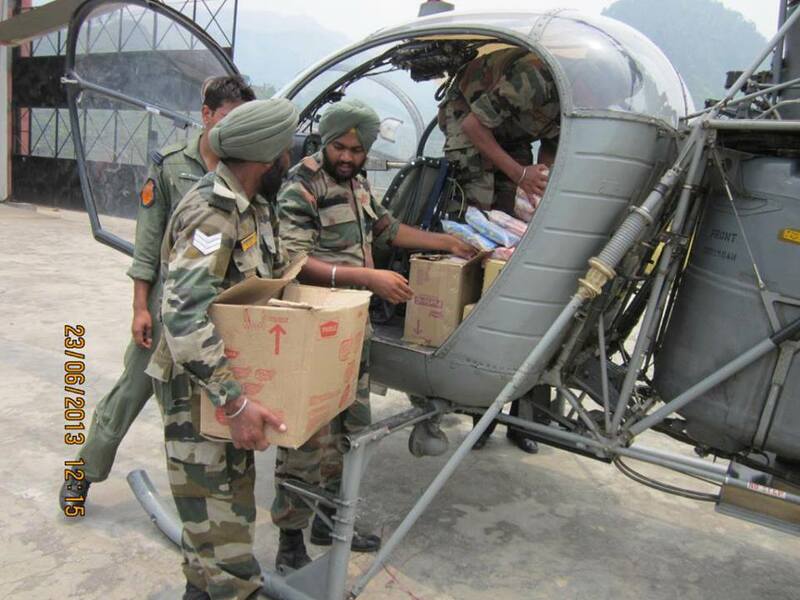 In the Harsil sector, 253 people have been evacuated by 24 helicopter sorties. Approximately 1000 people are awaiting evacuation at Harsil. 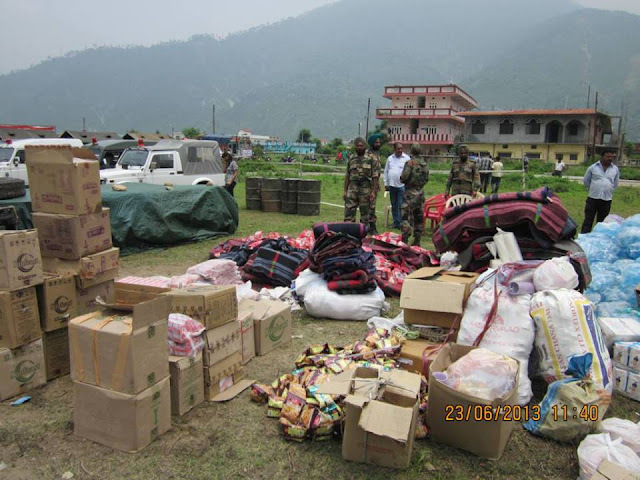 In Bardrinath sector, evacuation by air and a combination of foot and vehicle continued today with 740 people reaching Joshimath by evening. 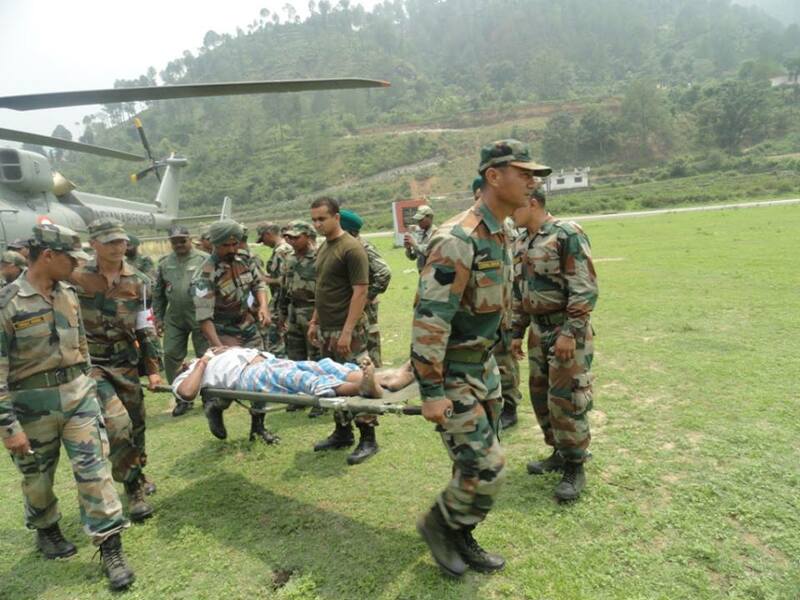 260 people crossed Alaknanda at Lambagar using helicopter bridge and Burma bridge. 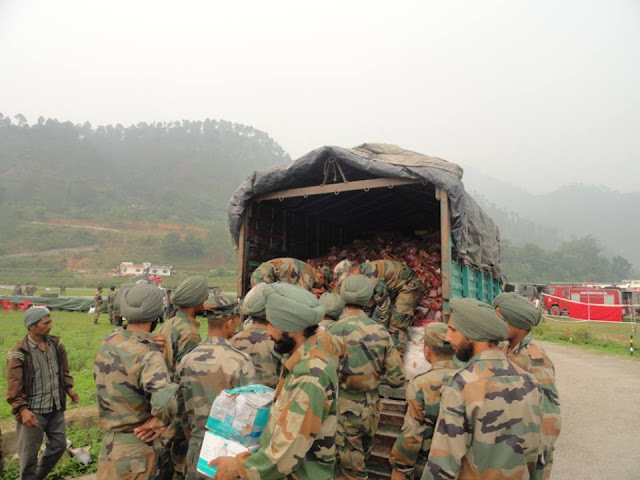 500 are still waiting to cross over 90 people have been evacuated by air from Bardinath by 18 heli sorties. 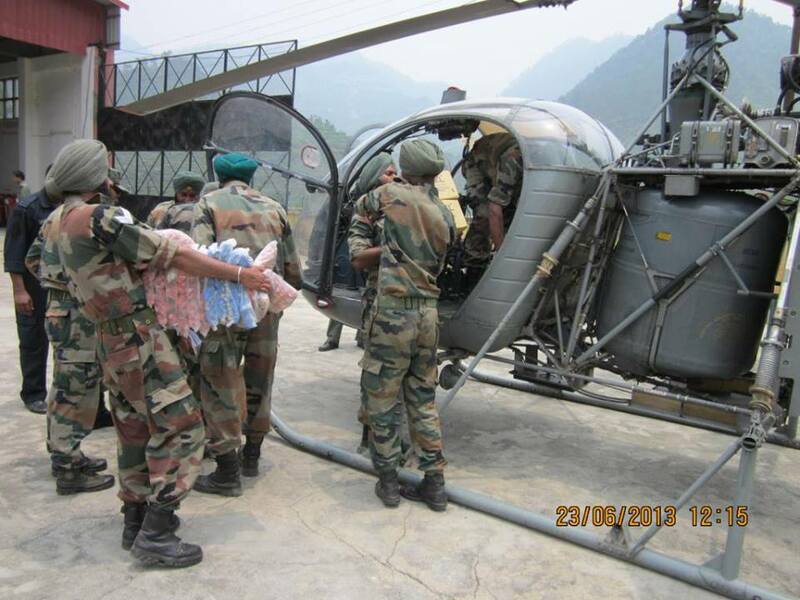 Army launched another initiative today to provide assistance to take care of ponies and mules stranded on Hemkund axis. 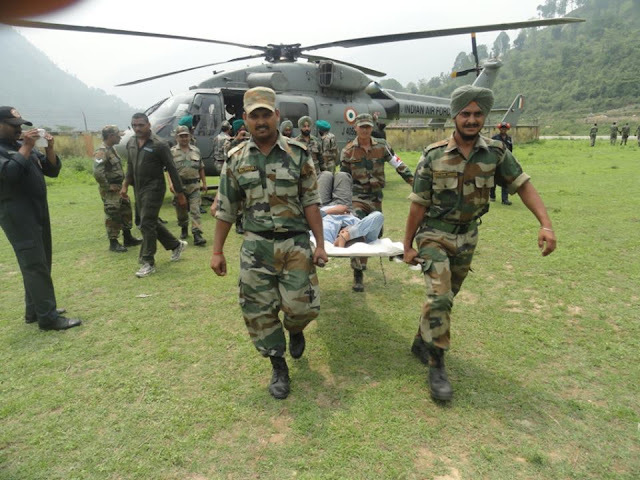 Army helicopter inserted one veterinary doctor and two paramedics to render medical aid to the animals affected by the floods. Efforts are underway to provide similar assistance to agencies responsible for taking care of animals in Gauri Kund. In order to speed up evacuation, Army Engineers commenced construction of steel foot bridge across Alaknanda at Lambagar in Badrinath Valley. 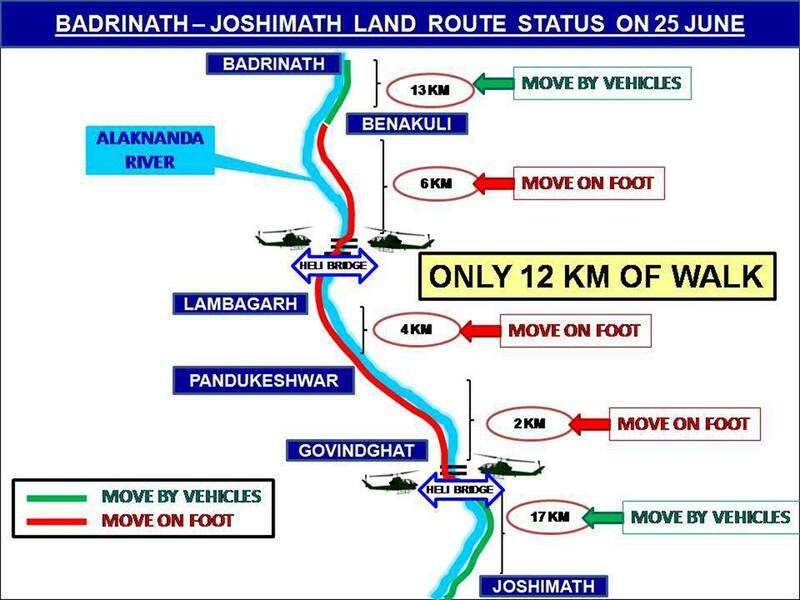 Once completed, evacuation by foot will be rapid. Army today took another step towards alleviating the problems being faced by people stranded at Badrinath and Kedarnath. 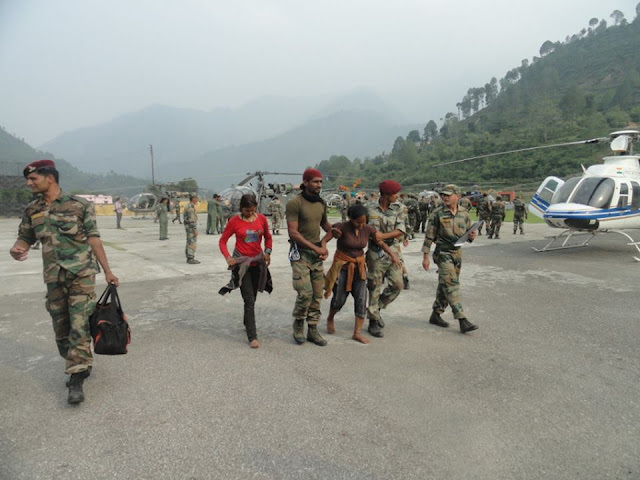 Two Army psychiatrists from Army Medical Corps were inserted into the Joshimath sector to provide professional counseling, advice and solace to people awaiting evacuation. One more final attempt was made when Army special troops carried out extensive search operations in general area Jungle Chatti: No one was found stranded anywhere between Gauri Kund and Ram Bara. The troops will continue search depending upon requirement. 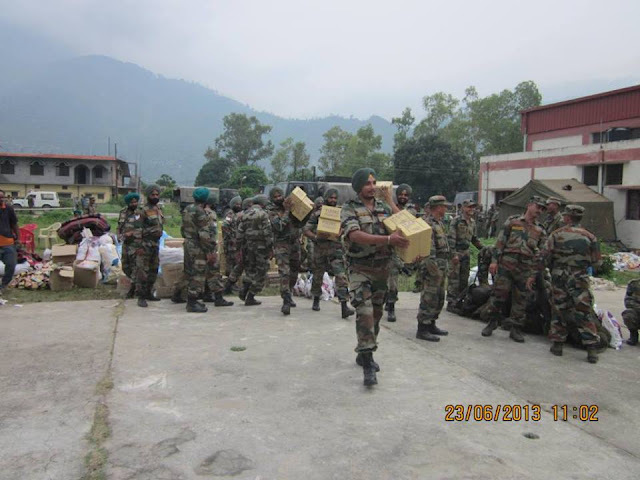 Army today evacuated 92 people from Sobala Valley of Dharchula in Pithoragarh district. Tejam and its surrounding villages were cut off following floods. 500 people were provided medical aid. 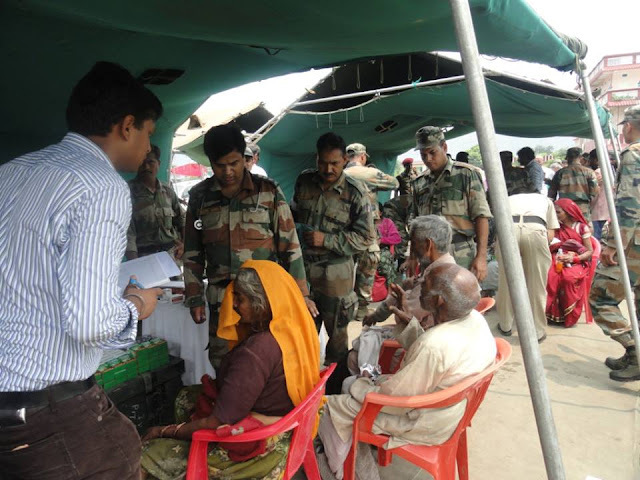 Army earlier relocated people from low lying areas to higher reaches in Dharchula.